Join us for a free screening of “Black Jack Pershing: Love and War” this Thursday, November 15th at 7 pm at York College’s Mackey Center in York, Nebraska. 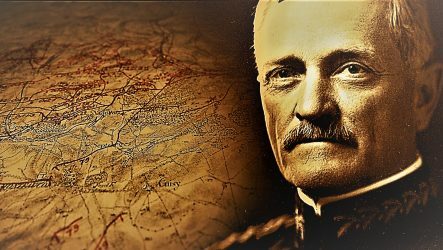 General John J. Pershing commanded American troops that helped turn the battle tide and force a German surrender in World War I. Pershing also had a strong Nebraska connection. In 1891, Pershing began a four-year stay at the University of Nebraska-Lincoln, where he led the cadet training program while attending law school. The York College History Department is sponsoring the screening of the award-winning documentary to recognize the 100th anniversary of the World War I armistice. The screening will be followed by a discussion with York College History professor Tim McNeese and the documentary’s producer, Barney McCoy from the College of Journalism and Mass Communications at the University of Nebraska-Lincoln.